Relax alongside a water garden and experience a tranquility that transcends today’s stressful world. Recuperate from your hectic day with free moments, listening to the soothing sounds of water gardens and taking in the sight of a professional low maintenance landscape. Join the many satisfied homeowners who readily profess having Purely Ponds Fine Landscapes install their landscape was the best investment they’ve ever made. 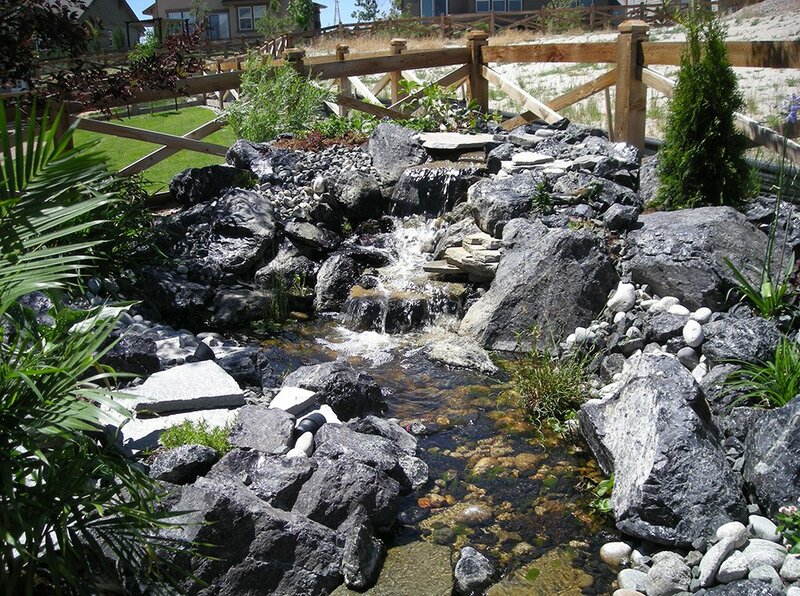 We specialize in design and installation of ecologically balanced and low maintenance waterscapes and fine landscapes. Our professional service and creativity will leave you with nothing more to do but sit back and relax! 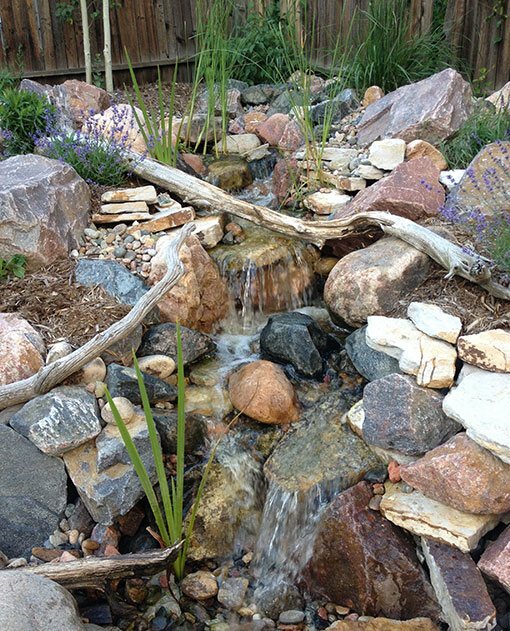 Water features coupled with low maintenance xeriscaping are today’s hottest trend in landscaping. 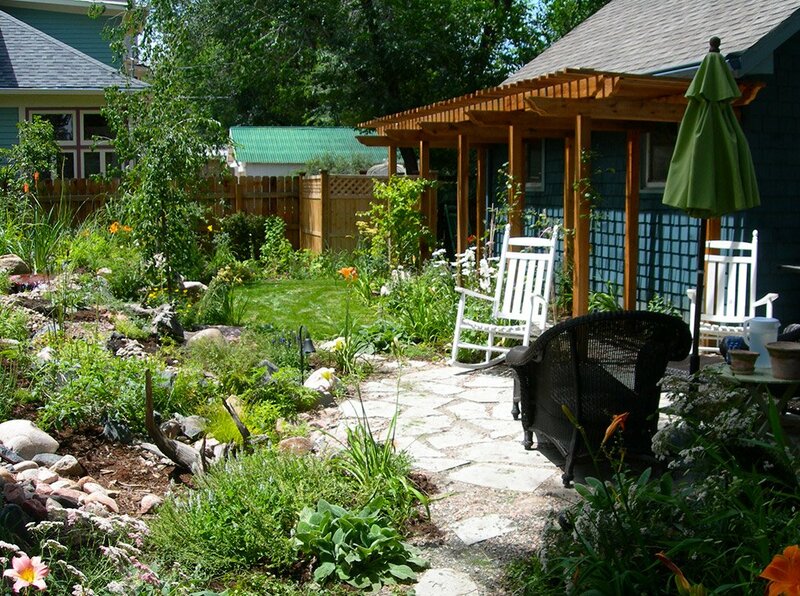 Across the Front Range, high maintenance , boring expanses of lawn are being transformed into beautiful, low maintenance “Rocky Mountainscapes,” one yard at a time. In addition, fine landscapes mature with age, thus increasing the value of your property more than any other type of home improvement. 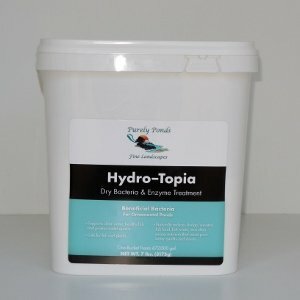 Whether you need a complete custom waterscape or general pond supplies, Purely Ponds is prepared to meet your needs. 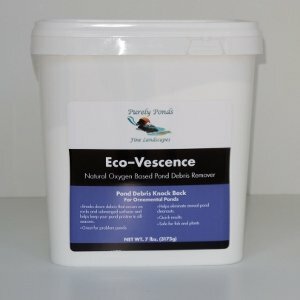 We carry pond fountains and pondless waterfall products from a variety of manufactures for all types of water features. 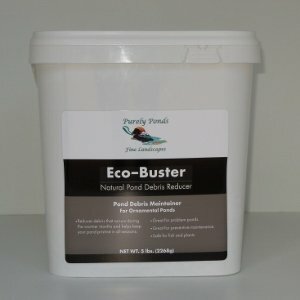 Visit our online store for beneficial bacteria, string algae control and many more pond supplies. 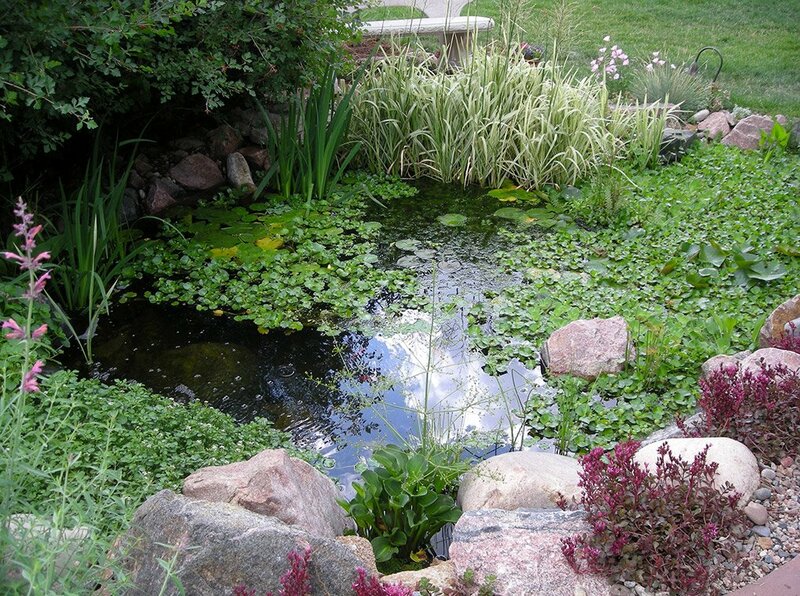 The Purely Ponds team is confident that the addition of a water garden, pond, pondless waterfall or pond fountain to your landscape will bring you pleasure for years to come. "My wife and I could not be happier with our waterfall! Chris was courteous, prompt and very helpful. (They use) one crew and do one job at a time so you know they will be there until the finish and not jumping from job to job. Best advice I can give to you is let Chris run with a design. Pick your spot and let him roll... We feel he gave us more than we paid for." and making our two waterfalls, beaver ponds and pond look completely natural to the landscape. “We discussed a ballpark of what it would look like and what kinds of things would be put in such as the rock, plants and lighting. It turned out better than I expected. They were hard working people and even worked in the snow.